Base plate is square, octagonal or round in shape with slotted holes for anchor bolt and dimension as per customer’s requirement. Electric Power Tower includes angle steel tower, tapered tubular steel, transformer substation framework, power plant framework and so on. Electric power tower is the steel structure frame of bracing electrical wires, keeping a sage distance of guild wires and buildings on the ground. 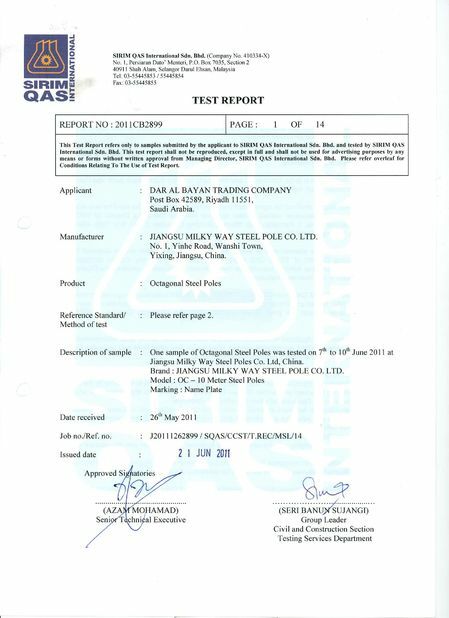 According to appearance, the power tower can be divided to glass type tower, cat head type tower, Shang type tower, Gan type tower and doliform tower. 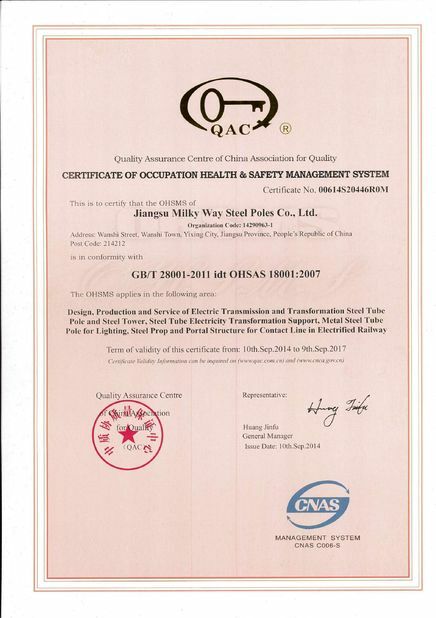 On the basis of application, power tower can be separated to tension type tower, linear type tower, angle type tower, transposition type tower, terminal type power tower and crossing type power tower. 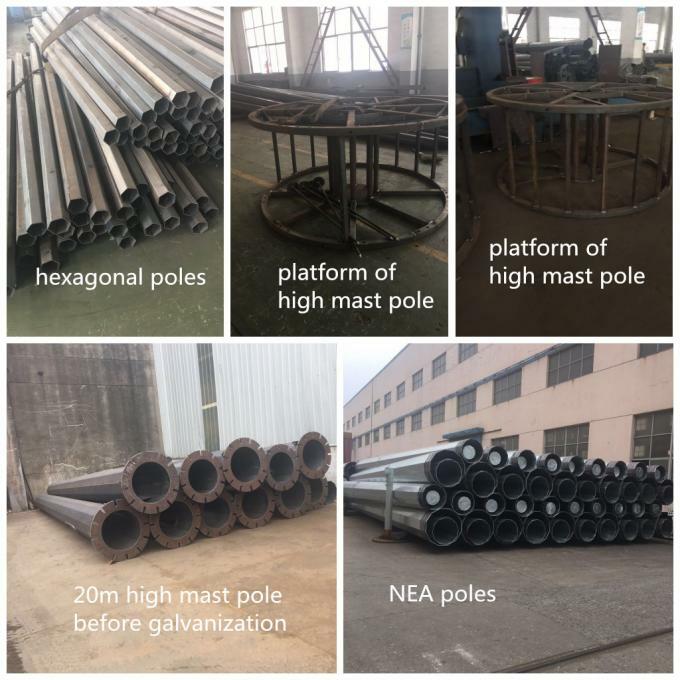 The design feature of all tower is space truss structure, forming by single equilateral angle steel, making of material of Q235 (A3F) and Q345 (16Mn) and using black bolt of shearing force to connect pole parts. 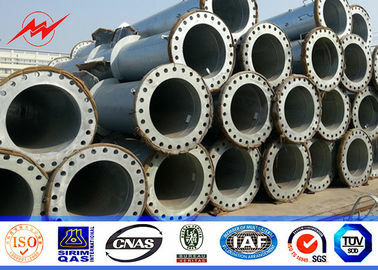 The tower is mainly consists of angle steel, connecting steel plate and bolt, some is component part of steel plate welding, as column foot. 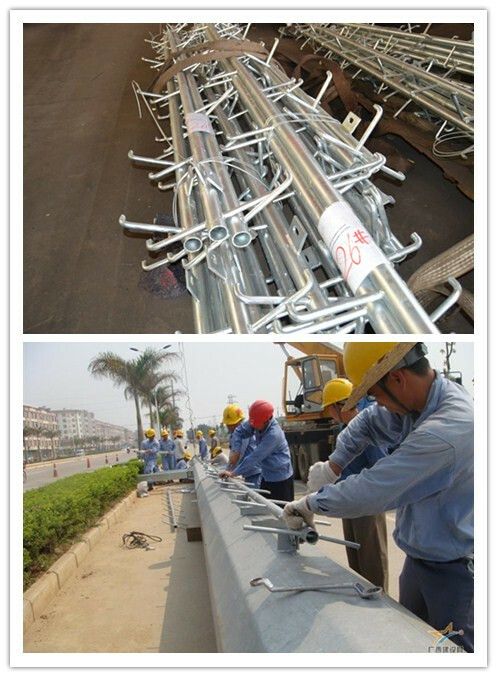 The simple tower part making the hot zincification anticorrosion, transportation, construction and erection is much easy. Usually use shackles on main pole of tower which the height is less than 60 meters for convenience of workers to ascend. Steel tube tower mainly use between high voltage transmission lines, with lightning rod hanging place on top, bolt connecting tower body with cross arm which has wires hanging place. The intersecting surface of tower is oblong, and the intersection surface macroaxis of tower and cross arm is 0 to 90 degree angle. In practical application, raw material can be saved of shorten the circumference of intersection surface by bearing the max bending moment of oblong intersection surface macroaxis.